Day three of Winter Bites has wrapped up and it’s shaping up to be our best year yet. 20 restaurants participating and they’re giving very positive feedback. Their customers are loving the great deals and we’ve even had comments suggesting that Winter Bites should be extended to 2 weeks! 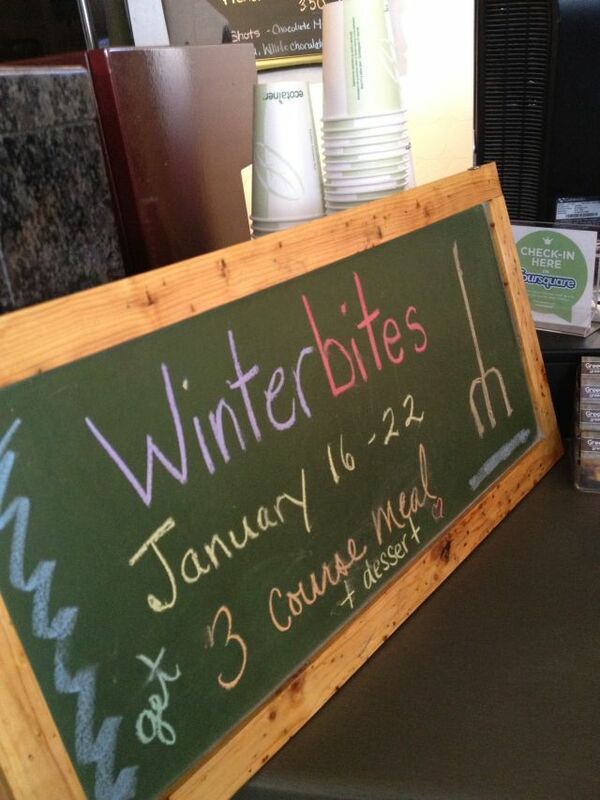 Green Bean Cafe is one of the restaurants participating in Winter Bites that has an excellent deal for lunch. First course is a choice of salad, second is a bowl of their soup of the day, third course is a choice of sandwiches and you even get a homemade dessert as a bonus! All this for only $10. 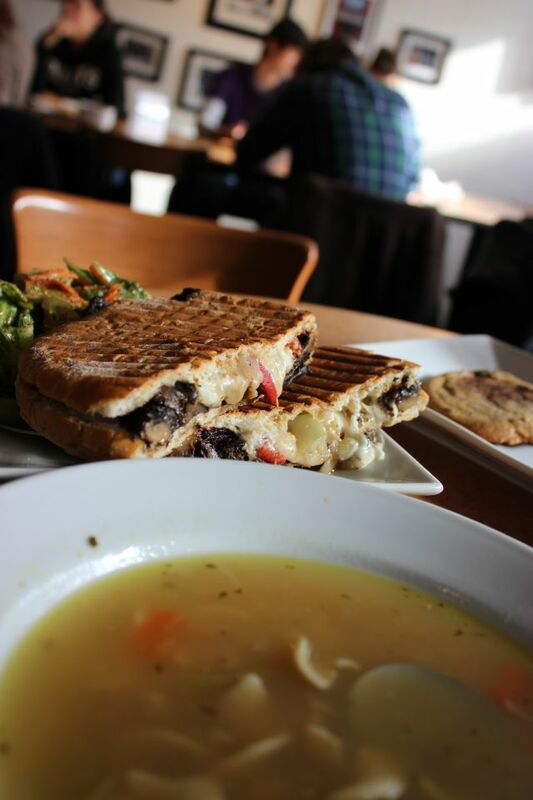 Being located by the University of Windsor makes the Green Bean one busy place. It’s been awhile since I last visited and forgot how much I love it there. Great coffee, atmosphere and food.